This is an invaluable of day of training for anyone dealing with the sensitive and often challenging nature of Child Sexual Exploitation. By applying your experience and knowledge to your self generated case studies you will be able to see how the skills and knowledge you gain during the day can be applied back in your setting so you recognise the risks and behaviours associated with Child Sexual Exploitation. 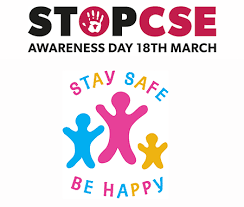 Child Sexual Exploitation (CSE) is sometimes a harrowing and uncomfortable subject to talk about and deal with so be prepared for exposure to material that you may find upsetting.